At Hanford we believe that having a learning difference should not be a barrier to achievement. We aim to offer girls timely, appropriate and specialist support whilst also ensuring their needs are catered for within the mainstream classroom. Our approach is sensitive, inclusive and relies upon active communication with all Hanford staff members. 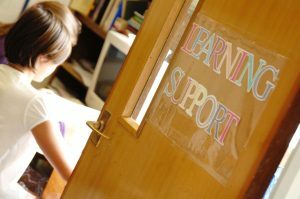 The Learning Support Department is staffed entirely by specialist teachers who are qualified in the assessment and teaching of children with specific learning difficulties. We can provide tailored support. Some girls will benefit from having a teacher working alongside them in lessons to help organise her work and monitor her understanding. In other cases the the girls may receive individual or work in small groups to support spelling, reading and maths. 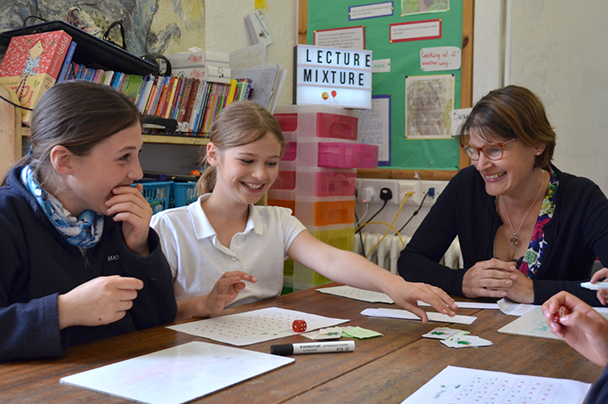 We promote enjoyable ‘over-learning’ through games, puzzles and computer activities and seek to find multi-sensory ways to make their learning active and memorable. If a child is struggling in a particular area, we teach her how to leverage her strengths to overcome her challenges. For example a girl with a strong visual memory will be taught how to use mind maps, pictures and other visual tools to help her learn. Others might benefit from pre-learning subject-specific key words in advance of their lesson to provide them with the vocabulary needed to participate in class discussion. As girls progress through the school many will be offered support with their study skills, memory and organisational techniques essential for independent learning. Hanford is a small, cohesive community and the regular sharing of information is key to our success. A girl with dyspraxic tendencies will not only undertake exercises within the learning support department but will be carefully monitored by the PE, Music, Artwork and Riding departments in the development of her coordination skills. In September each year, the whole school takes standardised tests in English and Maths followed later in the year by cognitive assessments. The results from these tests are used alongside teacher feedback to measure attainment, progress and potential. Girls identified as needing any additional support will initially be offered a short series of booster lessons. However in some cases further specialist assessment may be offered in order to gain a better understanding of their profile. Any girls who are placed on our Special Educational Needs Register will have an Individual Education Plan drawn up, which gives details of their needs, guidance for teaching staff, together with details of their learning targets. The department also works closely with other professionals with expertise in the area of specific learning difficulties. We have a speech and language therapist who works in school on a weekly basis and we regularly take advice from educational psychologists and optometrists who have conducted assessments on the girls.